Can’t see your free Purchase Order Software? 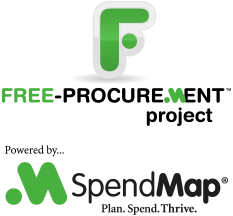 The free version of SpendMap can show you where the money is going. But only if you can read the screens! There are two options for sending e-mail from SpendMap, 1) MAPI and 2) SMTP. If you would like e-mails that are sent from SpendMap to show in your Outlook Sent Box, then use the MAPI option (using the two fields at the top of the E-mail Setting Screen). TIP: In most cases, you do NOT need to enter any of the other MAPI-related settings further down the screen. Or, if SpendMap is able to pass the message to the outgoing mail server but the message fails for some other reason (e.g. bad e-mail address), the mail server will send an “undeliverable mail” message back to the sender. Jody works in the hospitality industry in California and was asking how to include terms and conditions (Ts and Cs) on her PO form in the free version of SpendMap. If you need more than just a few lines of text, the other option would be to use the full Terms and Conditions Page that will automatically accompany each PO that is printed or e-mailed to your suppliers . You can configure the Terms Page using the [Setup Your Terms Page] button on that same PO Printing Settings screen. When you click the [Setup Your Terms Page] button, you will be brought to a screen where you can either 1) enter lots and lots of text for your Terms Page, or 2) if you already have an existing Terms Page, you can scan it and upload it into SpendMap as an image file. Tom works in the hotel industry in Florida and asked how to remove buttons from the toolbar at the top of the Main Menu in SpendMap. There are actually two ways to do that – you can remove toolbar buttons for only certain users or you can remove them altogether, for everyone. Just remove the menu option associated with the toolbar button. As a reminder, toolbar buttons are shortcuts to menu options in SpendMap, so if you take the menu away from the user, the toolbar button will also disappear automatically. 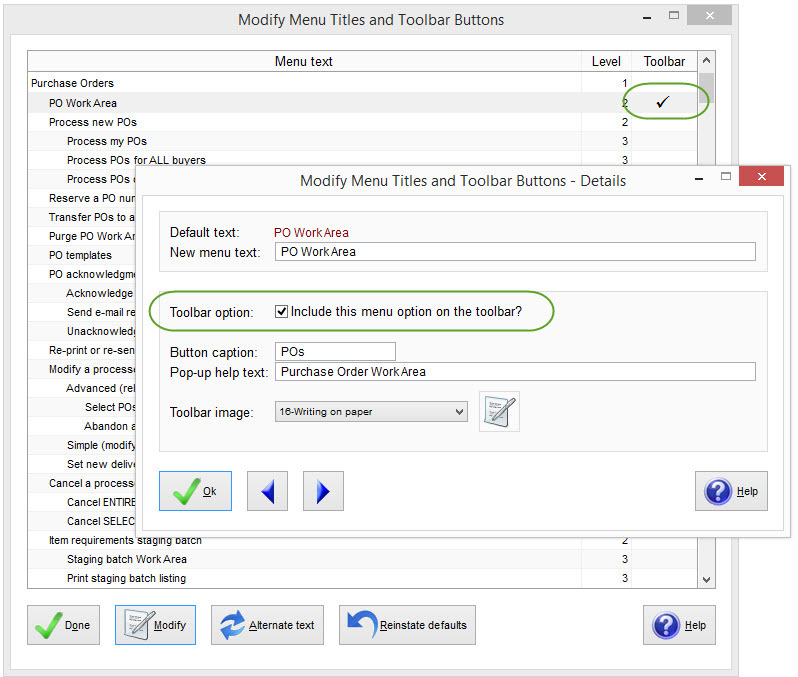 Just UN-check the option to “Include this menu option on the toolbar” and the button will be removed from everyone’s toolbar but they will still be able to select the applicable menu option (unless you removed it from their user-specific menu, per above). If a field is optional on a particular screen or transaction, keep in mind that it might also be filled in later in the process. For example, the person requesting an item may not know the supplier and so a Buyer or Purchasing Manager may select the supplier when reviewing/approving the order or when converting the Requisition into the final Purchase Order. Account codes are another common example. Some SpendMap customers allow their end users to process Requisitions without specifying a G/L Account or other account coding, which might not be completed until the invoice is matched/approved later in the process. Keep in mind, however, that you may need to make certain fields mandatory in order to use certain features of SpendMap. For example, if you are routing requisitions for online approval based on the G/L Account, then obviously that piece of information needs to be provided so that SpendMap can determine the appropriate approver(s). Similarly, if you’re tracking your financial commitments against each G/L, for example, using the budget tracking features in SpendMap or maybe with the PO Account Commitments Report, then you may want to make the G/L field mandatory on transactions earlier in the process, or risk missing commitments until the invoice shows up. Again, the question about when (or if) you want to make fields mandatory applies to other fields as well, not just G/L Accounts (but that’s certainly a common example). Bottom line, what’s easiest for your end users is not the only thing to consider (although it’s certainly important). You also need to think about what data is needed to properly support your Purchasing and Spend Management processes.